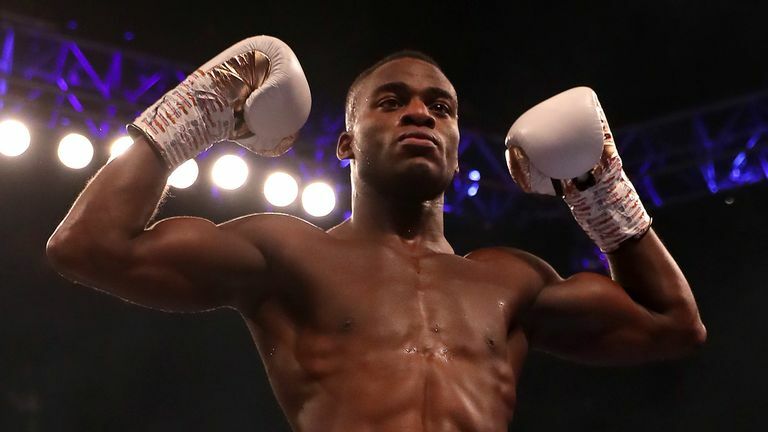 Buatsi takes on Conroy on the undercard for Charlie Edwards' WBC title fight against Angel Moreno at the Copper Box Arena on Saturday night, live on Sky Sports. The 26-year-old has won all nine of his fights, seven inside the distance, since turning pro in 2017, while Conroy (16-3-1) has spent five years longer in the paid ranks and is the reigning English light heavyweight champion. Buatsi is keen to claim domestic honours before stepping up to world level. "It's something I must add to my cupboard, I've got space in there to add another trophy and that's the next one I'll be doing. "Most importantly champions that have come out of this country have pretty much gone that same route. They have won the British title before and have gone on to win big things. "So for me it's important to kind of follow that step, just to show that ok 'he's conquered Britain' and then I will look elsewhere. This is his dream to become champion and I'll be there to stop it. "It will be world titles after that but it's for the team to sit down and come up with the best route possible for myself but most importantly it's all focus for Saturday night to make sure I win that title."